Ms. Hoffman is an IBM Client Partner and serves as the Global Co-Leader of the IBM Cognitive Legal Practice. She is a sought after Blockchain Subject Matter Expert and recently spoke at the United Nations at the Blockchain for Impact Summit and was Keynote at the 2018 GlobalMindED Conference on the subject “Blockchain, Financial Fuel for Sustainable Development”. In September 2018, she was appointed as Chair of the U.S. Commodity Futures Trading Commission’s (CFTC) Distributed Ledger Technology and Market Infrastructure Subcommittee for the 2018 – 2020 term. In March 2019, she testified in front of the CFTC on the Current State of Blockchain Adoption. She has one published patent for Detecting Clusters and Relationships in Large Data Sets (20180096047) and one pending patent for Method and System for Pattern-based Home Network Configuration (END820160894). She was certified as an IBM Thought Leader in 2015. 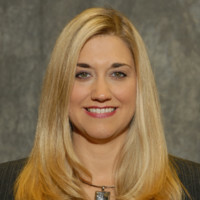 She also co-authored the book “eDiscovery Plain & Simple” (ISBN-13:97814394079), is the Co-Founder of Women in eDiscovery (Founded in 2007) and the Co-Founder of Diversity in Blockchain (Founded in 2017). In 2017, Ms. Hoffman became an Advisory Board Member for Integra Ledger and became a pioneering member of the Global Legal Blockchain Consortium and the MIT Legal Forum for AI & Blockchain. As her give back to her local community, Ms. Hoffman co-founded and serves on the Board of Directors of the Community Hope Center of Osceola County which has helped over 30,000 homeless individuals since its inception. The Community Hope Center has received multiple awards and most recently was presented with the Bob Allen Award from the Walt Disney Company and the Good Neighbor Award from Bank of America for the fight against homelessness. The Community Hope Center was an inspiration and was featured in the Oscar Nominated Movie, The Florida Project.